Simple Savings, a new book I put together with Toi Williams, one of my long-time freelance writers, is now available. We wrote this book for people who are tired of having too much month left at the end of their money. Many people feel that there is just never enough money to go around, and even $100.00, $200.00 or $500.00 extra per month would make a big difference in their lives. 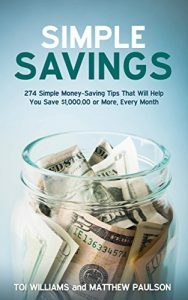 Simple Savings: 274 Money Saving Tips That Will Help You Save $1,000 or More Every Month offers a wide range of tips that will help you find extra money so that you can put it toward your financial goals, whether that goal is paying down debt, saving for retirement, or allotting money for business start-up expenses. Don’t worry! This isn’t another one of those books that tells you to pinch pennies and eat nothing but beans and rice. That can work in the short run, but it isn’t sustainable for most people. Rather, Simple Savings is full of money-saving strategies that will allow you to live the same lifestyle you are living today while leaving more money in your pocketbook. 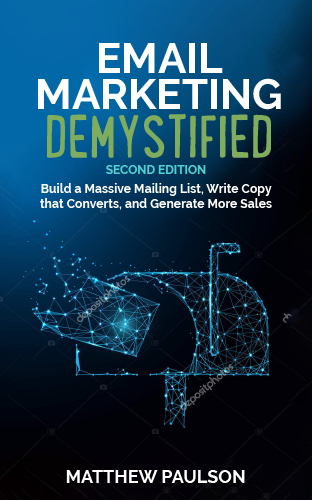 We’ve collected hundreds of money saving tips and compiled them into an easy-to-read guide that will teach you to get more value out of each dollar you spend. Free-up room in your budget so that you can spend more money on things that you actually enjoy. Reduce your family’s grocery budget by $50.00 per week (while buying the same food you are today). Dramatically reduce the cost of your cable bill, your cell phone bill and other nagging, recurring expenses. Cut the cost of transportation in half by spending less on gasoline and lowering your vehicle maintenance costs. Stop getting ripped off by your bank and get financial services that actually work for you (and not against you). Book a first-class trip on an economy budget using little-known travel hacks and other money saving tips.